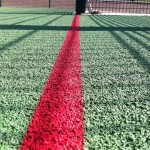 If you’re in need of polymeric line marking for your sports facility, our team can carry out this service for you. 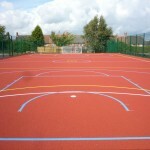 The paint can be applied in a number of bright colours to mark out a single sport, or several sports on a multi use games area. We will also paint the whole surface of the court to add anti slip qualities as well as adding the lines for accurate game play. You can speak to our team today to receive a quote for this work, and we’d be happy to show you some case studies of previous projects. The designs can vary for every facility and this alters the prices as well, but we will try to stick to your budget as much as possible. Just complete the contact box on this page and one of our experts will get back to you. 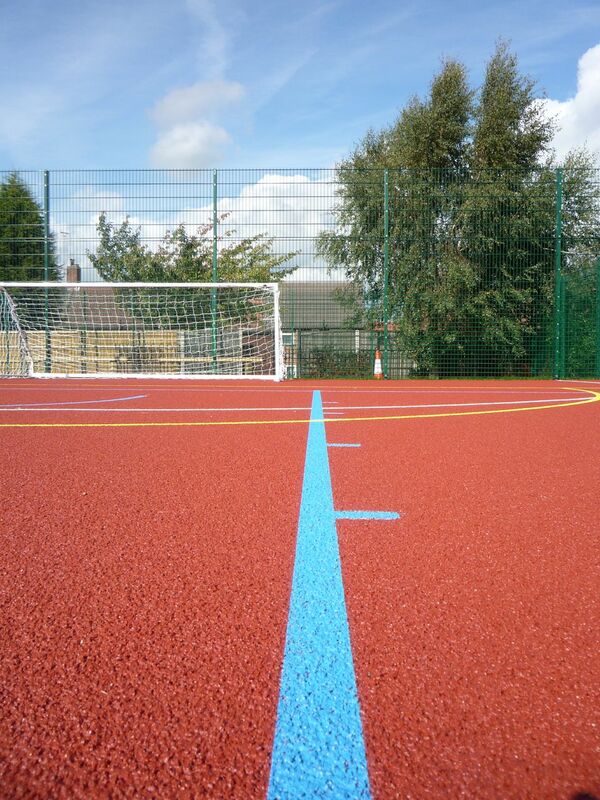 Polymeric sports surfaces are a popular choice for a number of facilities including athletics tracks, tennis courts, basketball courts and multi use games areas. The rubber EPDM material provides excellent ball bounce capabilities making it an ideal surface for these different sports. 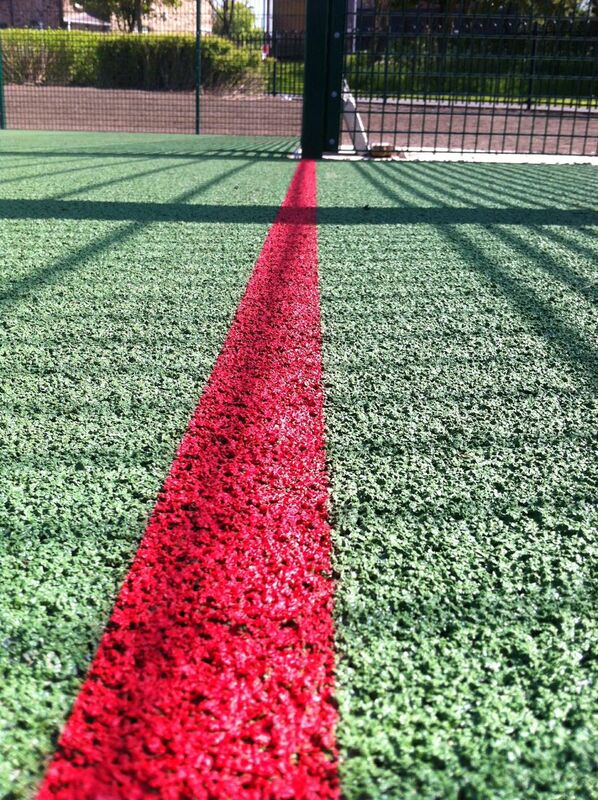 When you have a top quality sports facility like this, it’s important to have professional polymeric line marking applied to ensure accurate game scoring for a whole range of sports. 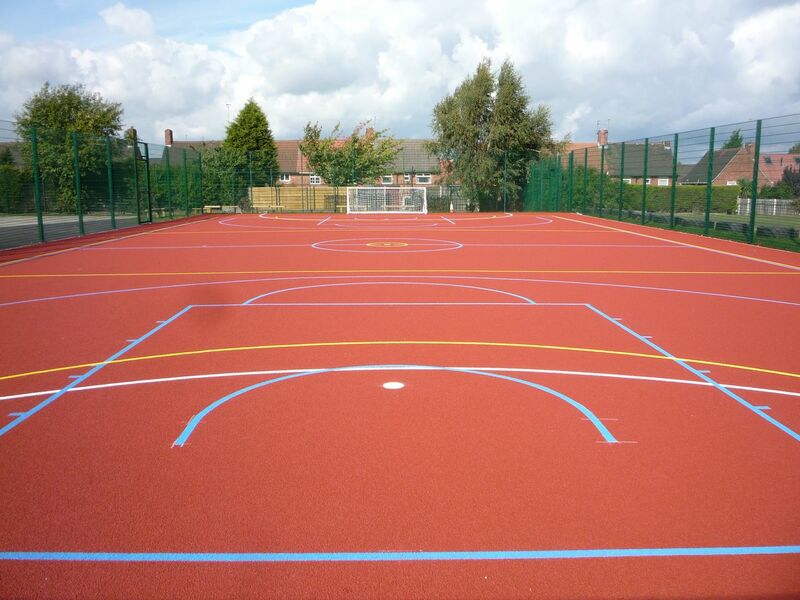 Anti slip paint coatings can be applied to the whole sports court area in a range of bright colours to give extra grip and traction, as well as a great looking finish which can be personalised to fit with school or club colours. 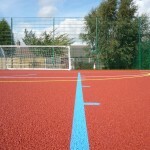 The polymeric line markings are spray painted onto the court surface and can also come in a range of contrasting colours to distinguish between different sports for a multi use games area. 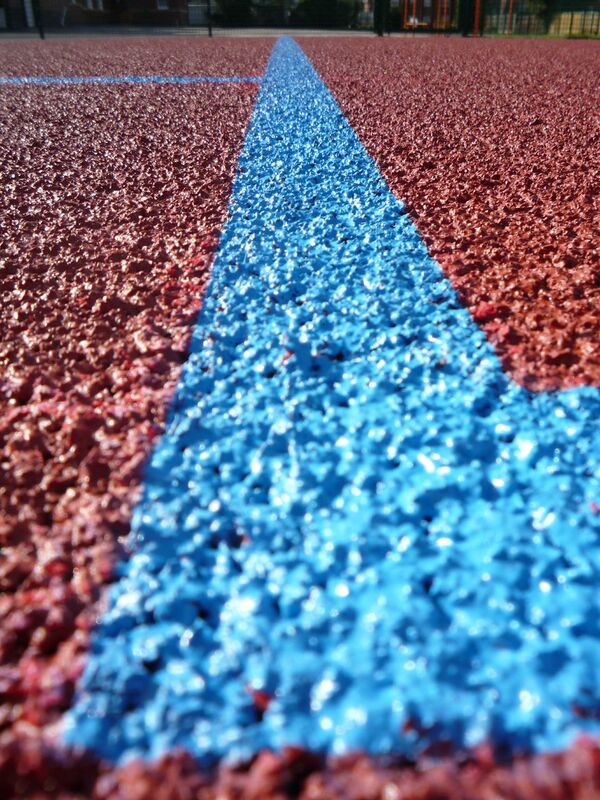 The paint used for polymeric line marking is usually a polyurethane paint which is mixed with aluminium oxide and sand to achieve the slip resistance qualities, this type of paint can also be applied to macadam sports surfaces, however acrylic paint is typically used for macadam. These paint coatings will help enhance the performance of the sports facility as well as keeping it safe for players which is especially important for schools where younger children will be participating in sports. The costs involved with polymeric line marking will usually be included within the overall price for a full sports court construction, and these prices can vary depending on a number of factors. 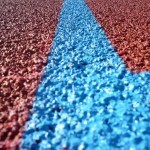 Variables which affect the price of sports court coatings and polymeric line marking can include the surface specification, area size and site location. We can offer you a price which gives you the great value service you want but at a price your organisation can afford, whether it’s a school, college, club or leisure centre. It’s also important to carry out regular maintenance for a polymeric sports surfacing facility to ensure that it provides the best performance qualities as well as keeping the surface safe for players and suitable for use. Maintenance for polymeric surfaces could include regular brushing and pressure washing to remove any dirt and contaminants, chemical treatments to prevent the growth of moss and algae, as well as repainting and reline marking to give the sports court a fresh and bright new look. Having a regular cleaning and maintenance plan will help reduce overall costs for your sports facility by preventing the need for repairs and resurfacing which could be expensive if the surface is not looked after properly. There are plenty of options available when it comes to designs for your EPDM surface markings. We will be able to discuss these with you and help you choose the perfect colours and performance qualities. As our specialists have worked on many sports court painting projects, we have a wealth of experience to make sure you get the perfect end result. Be sure to fill in the contact form on this page if you’d like some more information on all of our services with regards to polymeric line marking and painting. Just let us know what you need and we’ll give you a price and organise the work.